populations that would benefit from mental health services. This broadened scope cannot be accommodated within the traditional one-to-one therapeutic practice. The necessary diversified services can be provided only by larger organizations. Furthermore, many agencies are already engaged in the aggressive marketing of mental health services, a practice that will not be feasible for private practitioners. Most of the following discussion centers around the voluntary and private mental health agencies since their role will continue to expand. The current governmental strategy in the health field is to encourage prevention activities and more resources are now being directed toward policy and regulatory functions. The governmental role in the direct provision of services has already contracted, with public mental health agencies moving toward the provision of selective short-term treatment and away from the provision of long-term care. The voluntary service agencies are generally quasi-public in nature since most of their funds come from government sources. Both government and voluntary agencies, as institutions of last resort for most of their clientele, traditionally have been forced to adapt conventional treatment methods in order to deal with their special populations. Their clients tend to be more severely disturbed than those being treated by private practitioners and agencies, and many have been legally remanded for treatment, so that motivation for treatment may differ. Voluntary and private organizations have traditionally functioned to provide services that were not available elsewhere. They have been in the vanguard in developing ways to meet new needs as they emerge under changing social conditions. Unlike government agencies, the voluntary and private agencies can rapidly mobilize their resources to respond to new needs. Furthermore, unlike the private practitioner, they can deal with systems and organizational issues. This function will become even more critical in the future as mental health services move increasingly from a person-centered to a system-centered approach. 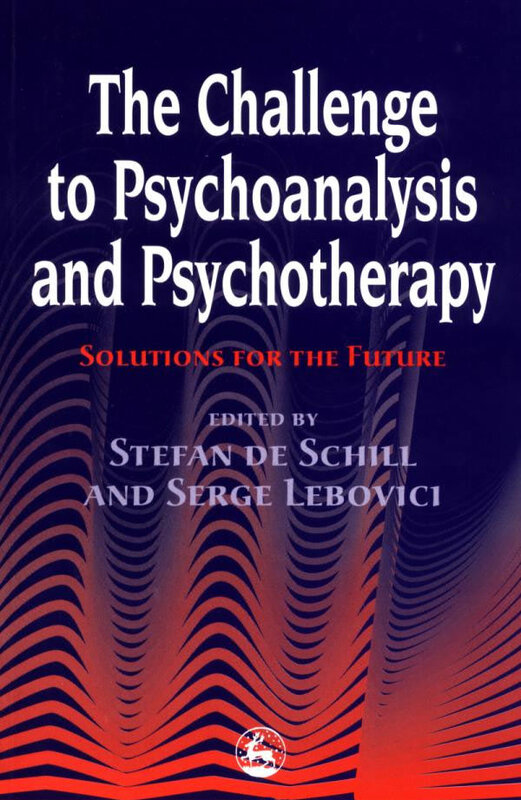 This trend toward an ecological, rather than an intrapsychic, approach to mental health and illness has been accelerated by recent events that have considerably broadened the purview of the mental health field, leading to recognition of the need for services that go far beyond traditional psychotherapy (US Public Health Service 1979). Another important function of the voluntary and private agencies, as well as the professional associations, is advocacy. Because they have organized constituencies in addition to providing expertise, agencies can effectively influence mental health legislation and regulations. One of the most critical aspects of their advocacy function is the setting of professional standards; another is with the level of funding for programs, including research in the mental health field. In late J 989 a new umbrella organization, The National Mental Health Leadership Forum, was formed. This confederation of national professional, scientific and consumer organizations will meet semi-annually to identify objectives and develop unified strategies to achieve them (Judd J 990). The future role of agencies will center on the prevention of mental health problems and the promotion of optimal psychosocial development throughout the life span. Mental health services, like medical services, developed to fit a remediation and rehabilitation model. As knowledge has accumulated about the causes of dysfunction, both somatic and emotional, the need to revamp services to fit a prevention model has become obvious. More effort will be directed toward common problems that interfere with adequate functioning in the general population. Thus the current focus of mental health activities on the treatment of patients in current crises and the provision of services to chronically ill mental patients will become more and more peripheral aspects of the field. Mental health agencies are already offering new kinds of services and actively seeking new types of clients, but more radical changes can be expected as the settings in which services are provided shift from the mental health clinic, hospital or practitioner’s office to less conventional places. It is in the private, profit-oriented sector that new mental health agencies are proliferating. Proprietary organizations, particularly the new chain operations, can operate at lower costs than the non-profit voluntary ones since they can make bulk purchases, use non union labor and be more selective of clients. Many of the new kinds of services are being performed by non-professionals whose training is often limited in focus, sometimes on a special problem such as alcoholism and sometimes on a specific area such as rehabilitation. Another new type of service is in marketing mental health programs, particularly in industry. Such marketing of services as was done by traditional mental health agencies was generally targeted to practitioners who could refer clients. The newer agencies, however, have extensive advertising and public relations programs directed at key non-professionals who are in positions to make referrals or, as directors, to purchase and install mental health programs. Thus although mental health activities formerly expanded principally through increased demand for traditional services for the mentally ill, emotionally disturbed and mentally retarded, the major growth in the future will be through the proliferation of new types of services, activities and providers, all targeted to broad segments of the general population. Two separate developments are contributing to the growth of an area that integrates mental and physical health. First is that of the quality-of-life issue, which is causing emphasis in the mental health field to shift from predominant concern with the seriously disturbed to recognition of the widespread malaise and dysfunction among the general population. The prevalence of this phenomenon in the medical field has led to such designations as ‘the worried well’ for those patients who seek treatment from physicians but cannot be diagnosed as ‘ill’ in the conventional sense of illness. Although the old-fashioned family doctor has become a rarity, troubled individuals are still more likely to visit a physician than to seek help from mental health professionals (see, for example, Kiesler 1980). It has, however, become common knowledge that most physicians are unwilling to spend time listening to, and are not trained to deal with, patients’ emotional problems (Eisenberg 1977; Engel 1977; Knowles 1977; Reiser 1981). The second development that emerged from scrutiny of the healthcare system was the emerging evidence on the significance of the psychological aspects of illnesses referred to medical settings. Study after study indicated that over half of the patients who consulted physicians had complaints that were psychogenic, with no somatic symptoms. In addition, a significant proportion of patients was found to have psychosomatic disorders. The psychological aspects of somatic illness have, of course, long been known (for example, placebo effect). What has changed in recent years, however, is the documentation and widespread recognition of the importance of psychogenic and social factors in illness (see, for example, Klerman 1977; Matarazzo 1982; Saward 1977). Another major advance for the behavioral sciences in the health field came from Miller’s pioneering work on biofeedback, demonstrating that a number of body functions formerly believed to be automatic could be brought under conscious control through accurate feedback. Biofeedback has been used with some success in a wide range of physical disorders—for example, migraine headaches, epileptic seizures and coronary disease (Miller 1978). Increasing emphasis on preventive health measures emerged as it became clear that life style is a significant contributory variable in many chronic and degenerative diseases, including two that are the leading causes of death in the United States: cancer and cardiovascular diseases. The prevention approach has, of course, the additional advantage of reducing costs in healthcare. Paralleling the more central focus on prevention, another development of direct relevance to mental health organizations emerged: emphasis was placed on the individual’s responsibility for his or her own behavior in maintaining health (Berger, Hamburg and Hamburg 1977; Knowles 1977; United States Public Health Service 1978). The boundaries of the field of mental health have consequently widened to include the whole area of behavior modification as a preventive or ameliorating measure in somatic illnesses, including those that are serious and chronic (see, for example, Black and Bruce 1989). In the aftermath of the change in national policy to deinstitutionalization, mental health agencies were obliged to work with clients who needed more services and services that differed from those that had customarily been provided to outpatients. Furthermore, the trend toward de institutionalization has not been limited to mental patients but has extended to other populations, such as the aged, mentally retarded, physically handicapped and delinquent. All of these populations need not only specialized mental health services but social and economic support as well. Even the highly-touted success of the deinstitutionalization of the mentally ill is not supported by statistics since it is only the distribution of mental patients among institutions that has changed (Kiesler and Silbukin 1987). The introduction of prepaid plans, government subsidies, insurance and other forms of third-party payment for mental health services has made accountability a salient issue for service providers. The concept of accountability refers to justification of all aspects of treatment (need, appropriateness, effectiveness and efficiency of the services provided). There is a continuing shift from free-choice health plans to some form of managed care (Zimet 1989). Employee health benefits are more often being restricted to a particular care plan, of which HMOs, PPOs and independent practice associations (IPAs) are the most widely used. There is an increasing shift from governmental and non-profit providers to proprietary organizations. Changes in population structure will also impact on the mental health field. One aspect of the structural change is in the growing proportion of the elderly. The steady decline in mortality rates will probably continue, but, even at present rates, the number of persons aged 75 and over will increase much faster than the number of those aged between 65 and 74. This differential reflects the lower birth rates of the 1920s and 1930s and is, therefore, not a projection. Consequently, there will be many four- and even five-generation families in which those in the middle ages will be forced to deal simultaneously with the needs of their children, parents and grandparents at a time when their own career demands are likely to be heaviest. Thus there will be additional pressures for innovations in the mental health organizations. They will need to provide more adequate and appropriate services to the elderly and also need to work with the middle-aged who will be coping with unprecedented family relationships. Many factors—increasing ease of travel, mobility necessitated by job changes, for example—are advancing the pace of the disintegration of the extended family. This, coupled with the increase in longevity, will make the problem of caring for the aged more acute. Like most mental health problems, this will require a great emphasis on prevention. Support services will have to be created within our social institutions so that the aged can remain within the mainstream of society rather then being warehoused. This is not only more humane but less costly. These support services will probably involve arrangements in which the more able aged provide support for the less able. Our society has not yet solved the problem of caring for the aged, now that there are no longer stable, close-knit extended families for doing so. Unless this is done soon, physical and mental health problems of epidemic proportions will emerge. One solution to the ageing problem was devised by Edgar S. Cahn, law professor at the District of Columbia School of Law. Cahn invented the concept of volunteer service credits (‘timedollars’) that could be earned by the elderly. Timedollar systems, funded by grants from foundations, charities and state and local governments, are sponsored by hospitals and other agencies that provide a computer and a program administrator. These programs have been in operation in about a dozen large cities in the US since 1987. The credits earned by volunteers are tracked on a computer system that matches volunteers to requests for service-credit ‘purchases’. The elderly can exchange services that they can perform (such as driving someone, cooking for someone who is ill) for services they cannot perform for themselves. Credits can be stored for the future either by the elderly or a younger relative banking credits for them. The program benefits sponsors in various ways—for example, if a hospital discharges patients before mandated deadlines, it receives a bonus from Medicare. This can be done when someone can provide good at-home care for the discharged patient. People feel more comfortable asking for help under this system since they have earned the right to it. Another population structural change is the increasing proportion of non-whites. Projections indicate that the Hispanic population will show the greatest relative increase over the next ten to fifteen years. Since Hispanics have generally been more reluctant than other ethnic groups to adopt the majority language and culture, their influence on American society is expected to be especially important. New organizations targeting these and other ethnic groups will emerge. Structural shifts in the labor force are another source of stress that will need to be dealt with. Mergers and the threat of mergers impact on the mental health of employees. In addition, rapid technological change will continue to make some employees’ skills obsolete or redundant, so that unemployment counseling will become more prevalent (Liem and Liem 1988). surrounding testing for drug use, AIDS and genetic predictors of vulnerability in the workplace. Wellness programs are increasingly common in large organizations in an effort to reduce job-related stress and promote mental and physical health (Offerman and Gowing 1990; Zedeck and Mosier 1990; Ilgen 1990). Technological change will also make more leisure time available. Our self-concepts are, in large part, based upon our being productive and thereby earning respect and other social rewards. As fewer people, working fewer hours, will be required to produce the necessities of life, feelings of worth will have to be based on other activities, probably largely in the cultural arena. Thus there will have to be a re-ordering of our hierarchy of values that will make these activities as respected and rewarded as those currently considered more ‘practical’. Aspiring to be a poet will have to command the same respect and equal reward that aspiring to be an engineer does, otherwise we shall have a society of mental health cripples.